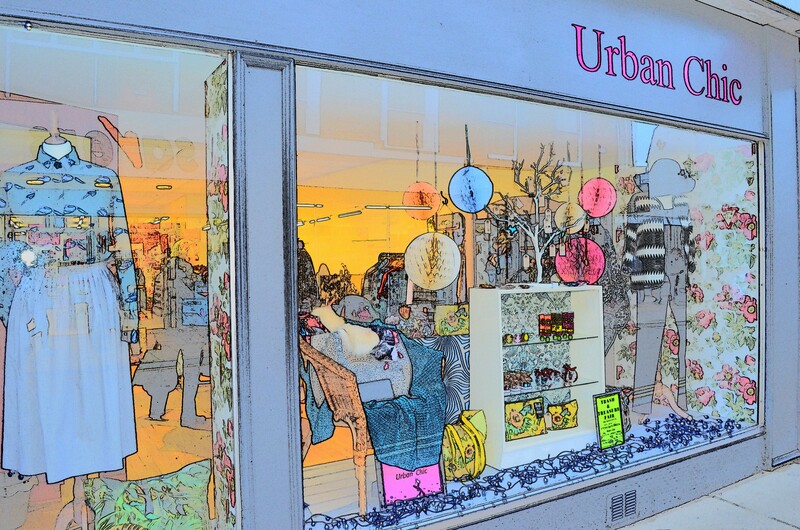 Urban Chic is a vintage inspired boutique which stocks a range of thoughtfully selected women's clothing, accessories, beauty and gifts. The store appeals to women of all ages and styles; with a number of brands to choose from, including many independent fashion labels not widely available in the local area' as well as some larger fashion brands. The Urban Chic sisters, Claire and Dawn, curate a bespoke collection of high quality basics alongside more unique pieces with the aim to help the wearer stand out from the crowd.